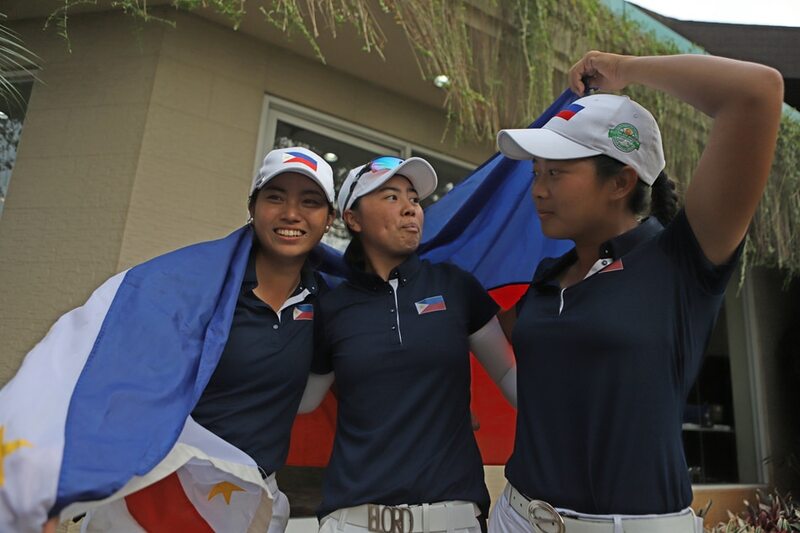 The members of the Philippine women's national golf team that won the gold medal in the 2018 Asian Games in Jakarta on Wednesday said they are giving up the cash incentives they earned for their feat because, by keeping the money, they would lose their status as amateurs. Yuka Saso, Bianca Pagdanganan and Lois Kaye Go issued a joint statement emailed to media after they attended a ceremony at Malacañang, where President Rodrigo Duterte distributed both government-mandated and private-sector sponsored bonuses to Games medalists. "Due to immutable circumstances, however, we are unable to accept any and all forms of financial reward," the statement read. "At present, two of us are actively playing in the National Collegiate Athletic Association (NCAA) in the United States, with the third, soon to follow. 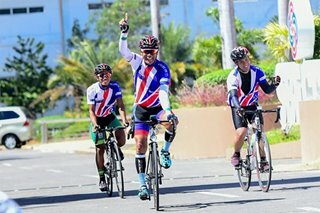 We will automatically lose our amateur status the moment we keep these incentives, as well as the opportunity to continue representing the Philippines in the future." Go represents University of South Carolina, while Pagdanganan plays for University of Arizona. Saso was due to receive approximately more than P10 million by winning the gold in women's individual play and being part of the trio that won the team event. Pagdanganan, a bronze winner in the individual competition, and Go took home considerably less than Saso. They have agreed to give the money to the National Golf Association of the Philippines, the sport's national governing body. "We unanimously agreed that if it were possible to donate this money to support the national golf program — and thus help other aspiring golfers reach their goals — this would be the best scenario for us," they said.